The old adage, you never get a second chance to make a good first impression is as relevant today as it has ever been. 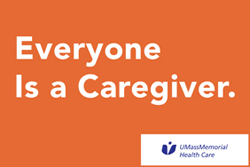 In this increasingly warp speed world a bad first impression for any health care organization has the potential to go viral in seconds. Finally the team came up with their best idea – adding a USB port charging station so our patients can keep their phones charged and provide updates to their family and friends. Each week, through the idea of the week program I will highlight a new Idea that is worth spreading to celebrate and recognize teams who are implementing improvements in their area, so please keep checking the blog for ideas you can use in your area. If you do use an idea of the week in your area please register and count it on your idea board. 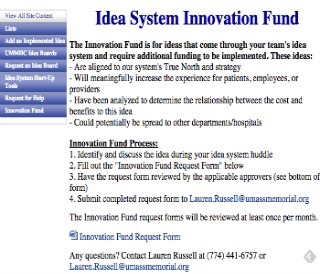 I am proud to announce that we have created an “Innovation Fund” webpage to help fund your great ideas. including the funding criteria and process for applying.